The Pentagon officials welcomed the reversal, Fox News reported today. The move by Iran avoids showdown with U.S. Navy in the Arabian Sea and is also a possible quid pro quo for Saudi halt in major air campaign. 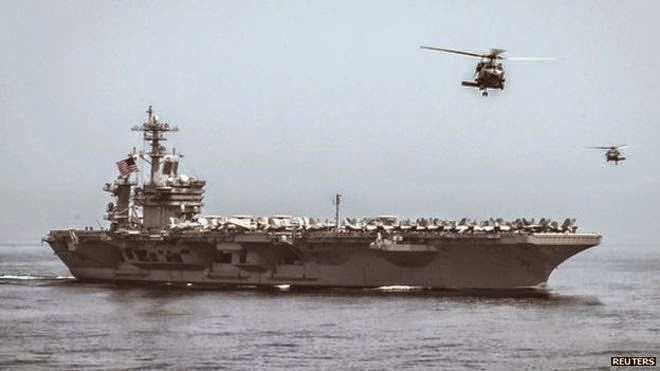 UPDATE (Friday 24 April): U.S. aircraft carrier USS Theodore Roosevelt and its strike group are also heading back to the Persian Gulf after the Iranian convoy reversed course on Thursday and headed home. Them moves indicate that a potential stand off between the two navies has been averted. So the attack on the helpless barge scenario didn't come to fruition?